1850s autograph album of Cordelia Throop, containing inscriptions of her students at Keokuk, Iowa, and Henry, Illinois, at the North Illinois Institute. 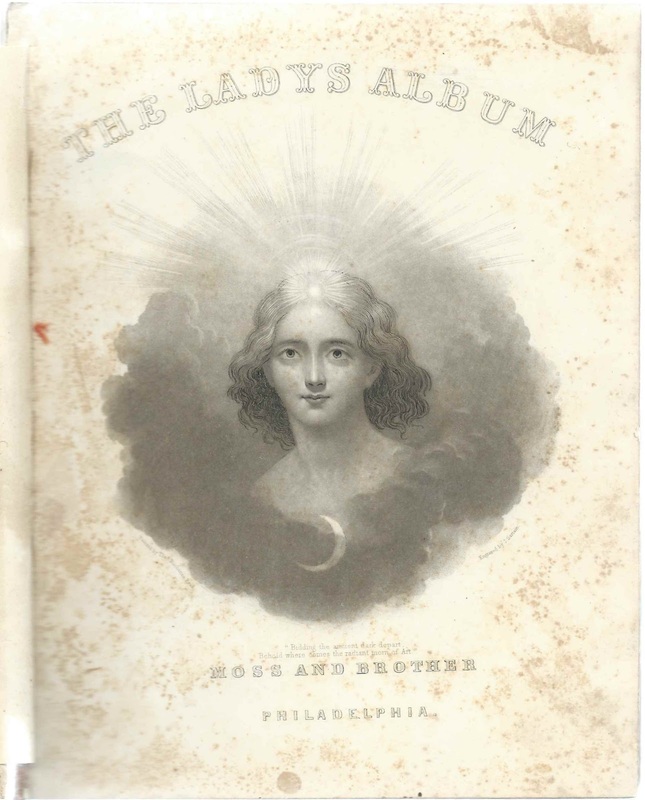 The inscriptions end before her December 1856 marriage to Rev. William Remy Cole, a Unitarian minister and philanthropist. Read more about Cordelia (Throop) Cole and see a photograph of a middle-aged Cordelia here, in a publication entitled "A Woman of the Century: Fourteen Hundred Seventy Biographical Sketches, edited by Frances Elizabeth Willard and Mary Ashton Rice Livermore, and published in 1893. 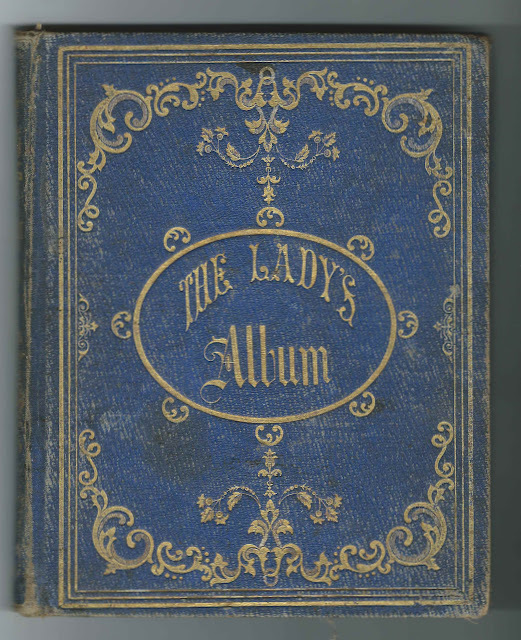 The album was presented to Cordelia on December 25, 1853 by her friend, whose initials I'm not sure of, but perhaps O. W. R. or O. W. K.
It measures approximately 7-3/4" x 6-1/4" and contains the sentiments of over 150 people, most of whom were Cordelia's students, as well as friends and her younger brother James Addison Throop. Very few people left full page inscriptions; most pages contained multiple autographs. The album was published by Moss and Brother of Philadelphia and contains five full-page engravings, plus the engraving on the title page, below. Two calling cards are tucked in the album. Cordelia Throop was born November 17, 1833 at Hamilton, New York, daughter of George Addison Throop and noted itinerant artist Deborah (Goldsmith) Throop. 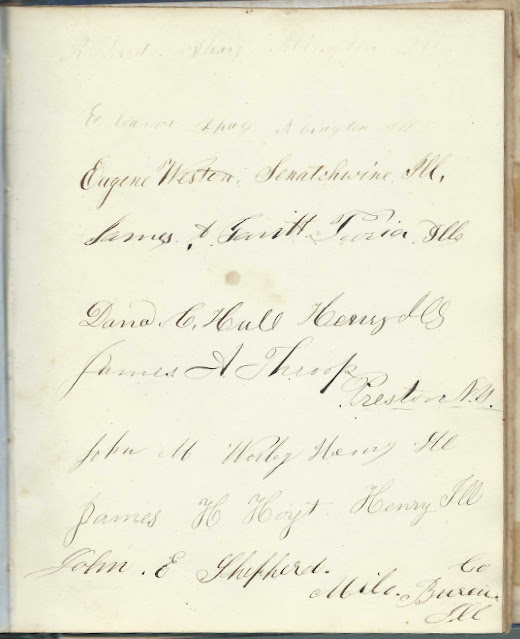 Cordelia's younger brother James Addison Throop, who added his autograph to the page below, was born December 7, 1835. 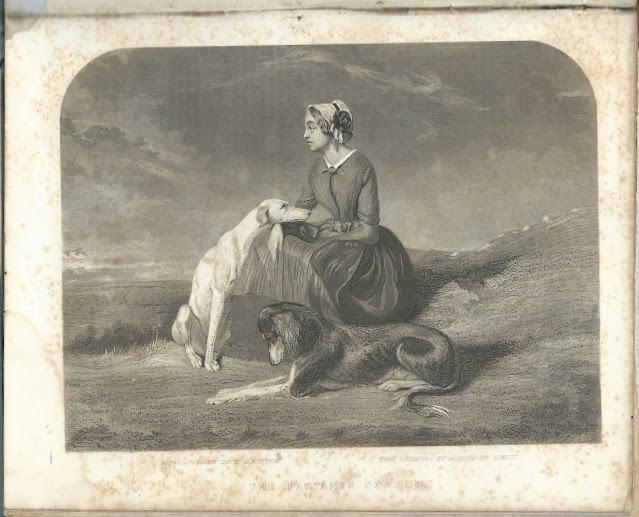 Sadly, Deborah (Goldsmith) Throop died March 16, 1836, and George Addison Throop on September 17, 1849. Cordelia's brother James Addison Throop, who added his autograph to the page below, edited Ancestral charts of George Addison Throop, Deborah Goldsmith: many historically interesting letters from the old traveling bag, saved throughout the years by James Addison Throop, published in 1934, and with the compilation help of his niece, Cordelia's daughter Olive, born in 1869. In December of 1856 or in 1857, a few months after the latest autographs were inscribed, Cordelia Throop married Rev. William Remy Cole, son of Solomon and Sarah (Remy) Cole. William was born in Dearborn County, Indiana, on August 12, 1828. He and Cordelia lived in Iowa and had seven children; a daughter died in childhood and a son in young adulthood. Cordelia died in 1900, and Rev. William Remy Cole in 1915. If you have corrections and/or additions to the information above, or information on any of the inscribers listed below, please leave a comment or contact me directly. Isaac B. Calder, inscribed at LaPrairie Center, Illinois, on May 5, [no year written but presumably 1855 as that was the date used on other inscriptions on that page; on a page shared with 3 others. J. W. Parrington of Portland, Maine, inscribed at Henry, Illinois, on June 24, 1856. John William Parrington was the head of the North Illinois Institute at the time.